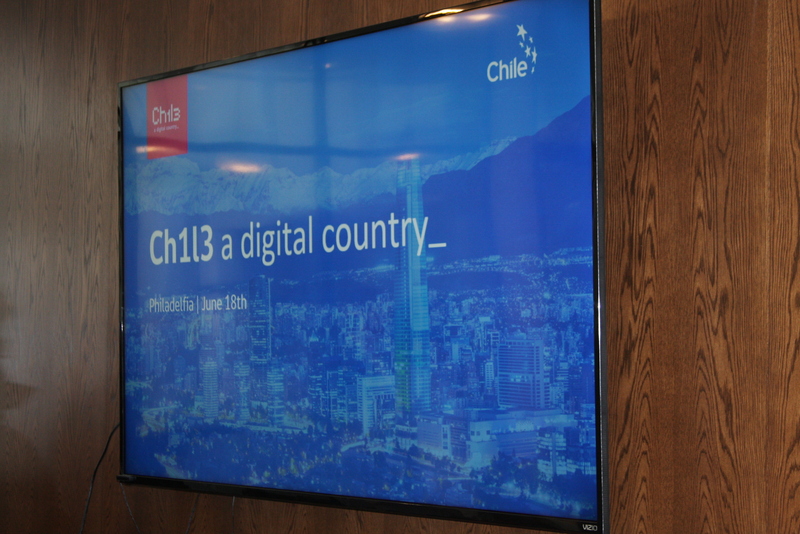 On Monday, June 18th, Ch1l3: a Digital Country_ returned to the City of Brotherly Love for, Chile: Your Next Tech Partner_, a networking event held at Philadelphia’s Honorary Chilean Consulate. This was the IT group’s third visit to the CACC within the past year. From June 18-20th, the group returned in search of more clients after successful previous trips. 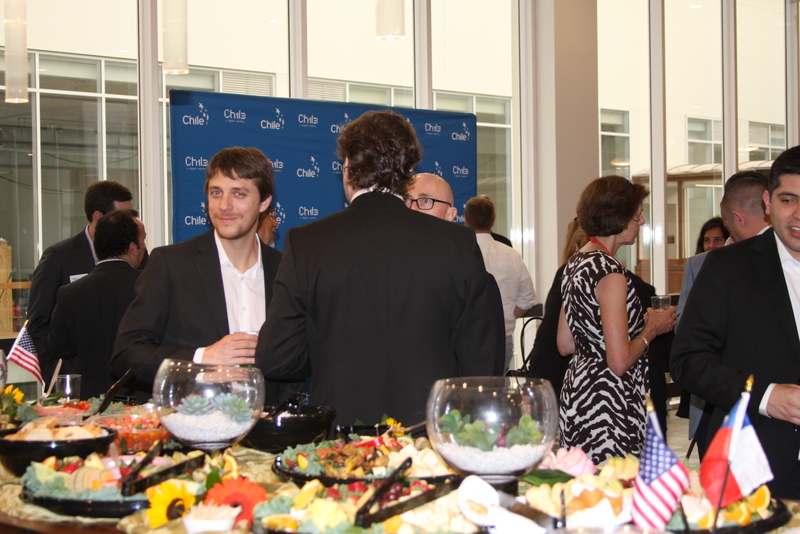 The night began with mingling and enjoying the delicious food along with Chilean wine and pisco graciously provided by ProChile. 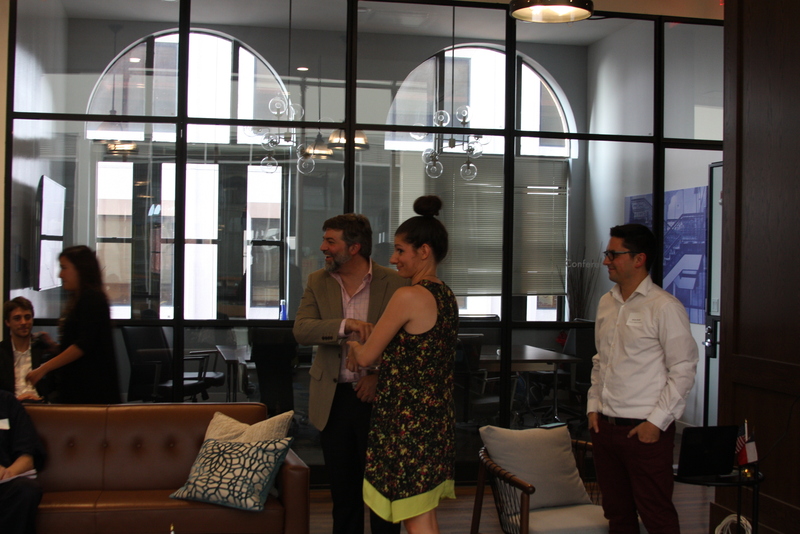 Guests were then invite to move to the other side of the room to learn more about Ch1l3: a digital country_. 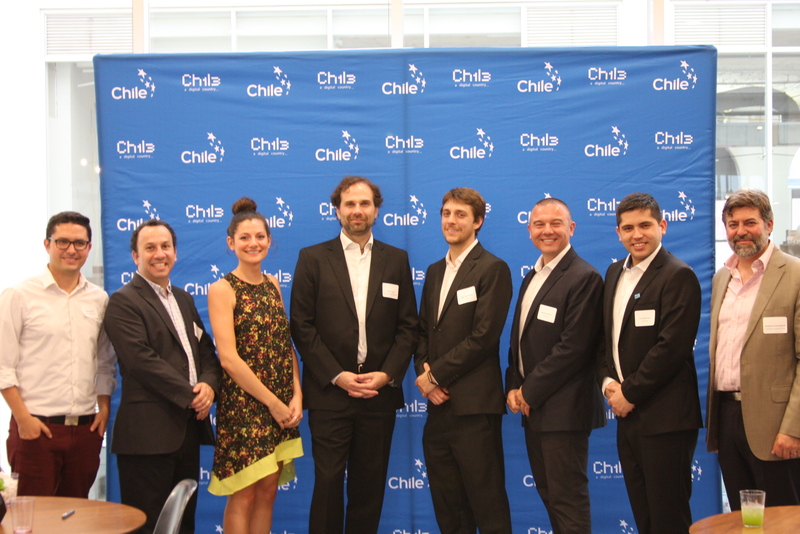 Before the IT professionals took the floor, Honorary Consul of Chile for Philadelphia, Benjamin Leavenworth, gave a few words regarding Chile and how excited he was to have the delegation back in town. He noted the success the first trip brought and his excitement to see the results of the second. 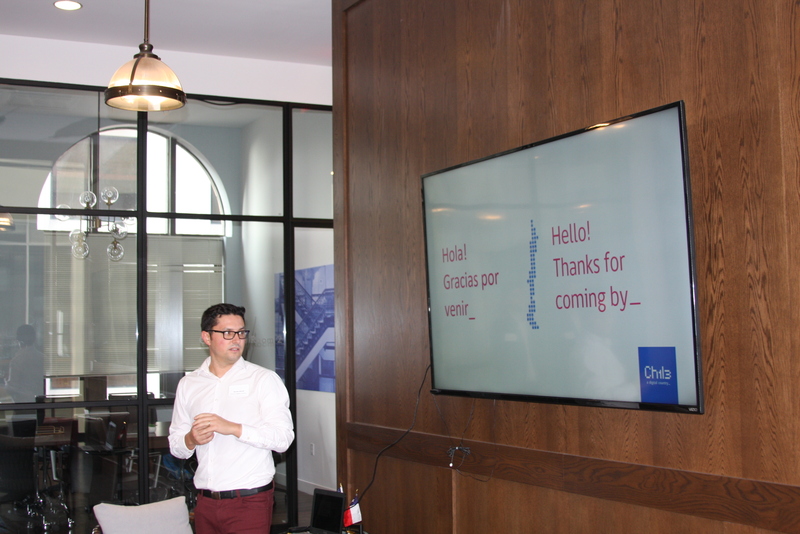 Leavenworth first introduced Nicolás Bonati, Sector Brand Manager of Ch1l3, who gave a general overview of what Ch1l3 is and what the organization does. Bonati was followed by his colleagues Juan Pablo Reyes (or JP as he lets his American associates call him), CEO of Linets, Cristian Ferrer, CEO of Tecnova Global Solutions, Fernando Caro, COO of BlackHat, Hernán Sangüeza, Director of Business Consulting in Chile from Nisum, and finally, Marko Knezovic, COO of Kibernum. Each of the representatives gave a brief five minute presentation on their individual companies and why they would be perfect as your next tech partner. Before the conclusion of the evening, Leavenworth took the floor one last time. He encouraged the attendees to reach out to him or to any members of the tech delegation with questions. Then, he, along with the Chilean & American Chamber of Commerce of Greater Philadelphia’s Executive Director, Christina Lista, chose the winners of the night’s raffle featuring a backpack, bag, and a bottle of Chilean pisco. The CACC would like to thank the Chilean Consulate for hosting, Day by Day Catering, ProChile for their donations to the raffle and for the wine and pisco, the attendees, and, of course, Ch1l3 for returning to Philadelphia. If you would like to see more pictures from this event, please visit our Flickr page.